The recent strengthening of the USDINR currency is due to the continuous buying of FII’s for the past 15 days into India Equity Market. Interestingly FII’s are the net buyers for the past 4 months and this march so far they had invested close to Rs 6,034.50 crore into the debt segment. And so USDINR Futures (MCX-SX) currently looks oversold on the hourly charts. 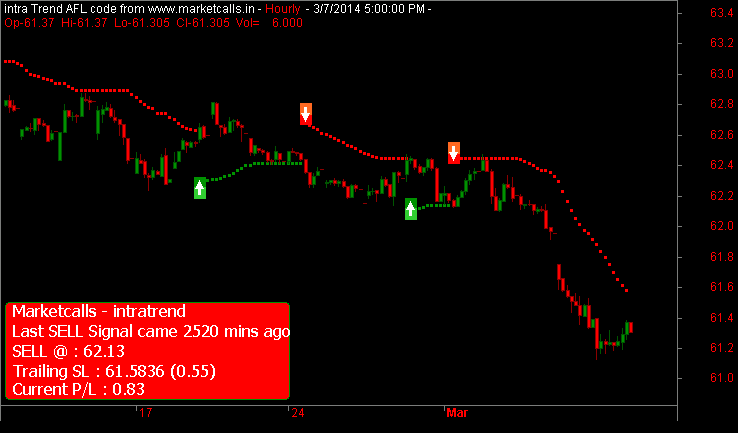 USDINR Futures had tested a low 61.2 and currently trading at 61.4 and looks little oversold. And currently the resistance zone comes around 61.58. Reverse your position to positional longs if the resistance breaks on the higher side. How do u arrive at your conclusion 62.29 is point that invalidates your above view? Its a simple mean reversion strategy and so the recent lows are kept as Initial Support and the Fibo retracement levels as targets. Oops it was a wrong chart and wrong analysis as it was Feb Futures. Changed the Chart and change in the strategy too. i want to add usdinr pair to mt4 for studying its charting, can you please help me how to do the process.